As if the Royal Wedding wasn't big enough buzz already, we were mesmerized by Meghan Markle's engagement ring. And not just for its bling! Not much detail has been provided about Meghan's ring, but we certainly know that both her engagement and wedding rings are beautifully special. Why do we love it so much? A simple, elegant, and timeless yellow gold band was forged from Welsh gold, as per Royal tradition. Nearly a century ago, The Queen Mother used gold from Wales for her wedding band, and the tradition continued with Queen Elizabeth in 1947 and so on. Someone special was absent from the Royal Wedding. 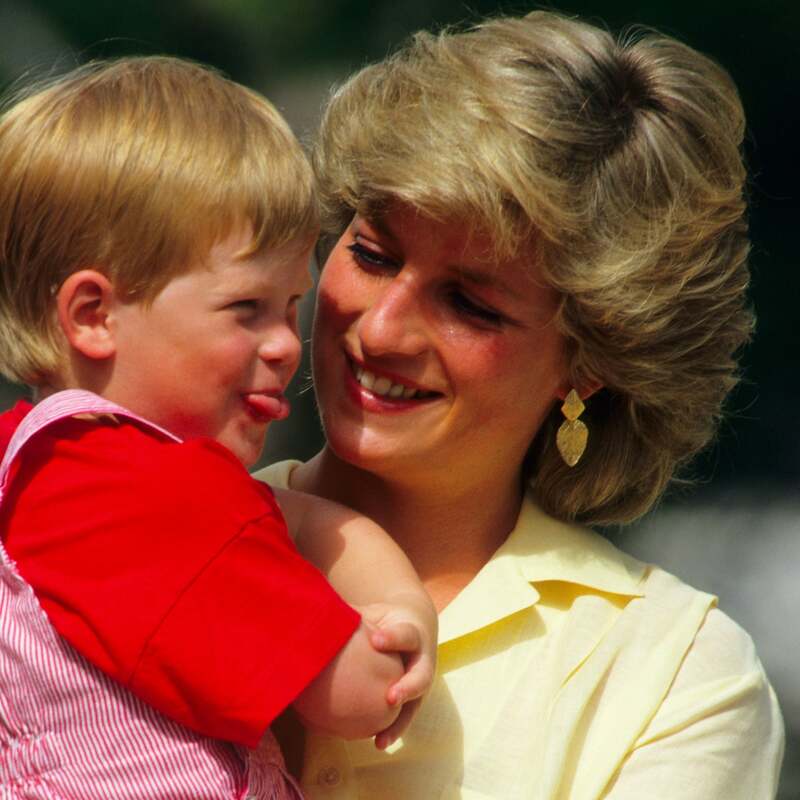 The late Princess Diana was not forgotten, and Prince Harry did something exceptionally special to keep not only her memory alive and well, but something to keep her close on his and Meghan's journey together. Piecing together two of Princess Diana's diamonds from her personal collection, he added these to either side of the main stone. 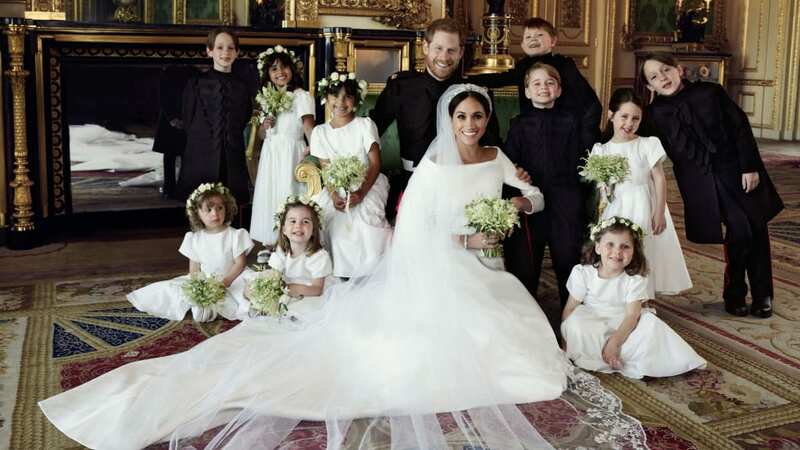 Prince Harry made sure that she would be a part of their life together, even though she could not be there for their special moment. 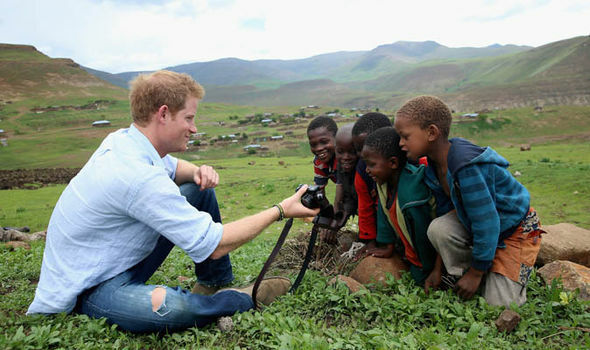 For Prince Harry, Africa is a place like a second home. He says he feels a sense of normality and peacefulness whenever he visits. For part of the summer leading up to the engagement, Prince Harry and Meghan visited Botswana to better get to know each other. It was then and there that Prince Harry says he felt a true connection, and realized she was "the one". For the main stone of the engagement ring he would create for her, he chose a cushion cut diamond (estimated to be anywhere from 2.5 to 4 carats) that was sourced from Botswana, a place close to his heart. 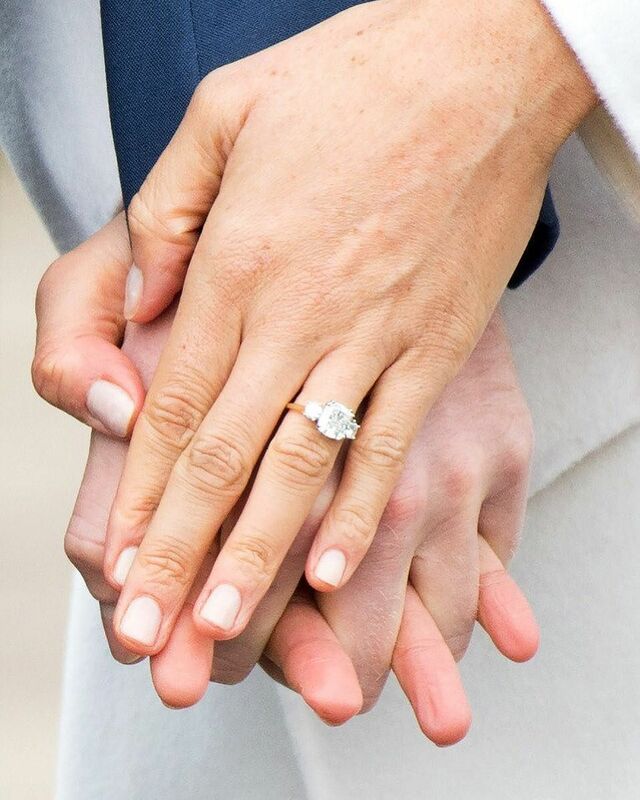 A beautiful and touching story behind the love and stunning engagement ring that Prince Harry had custom made for Meghan Markle, Duchess of Sussex.